The type of update (e.g. 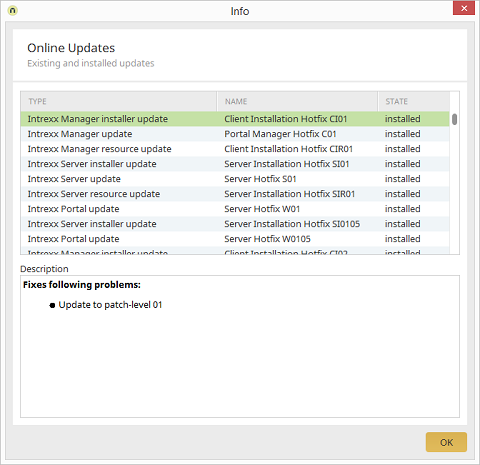 Portal Manager or portal server updates) are shown here. Displays the name of the respective updates for each update package. Displays whether the update was installed successfully. The description of the currently selected update can be viewed here.